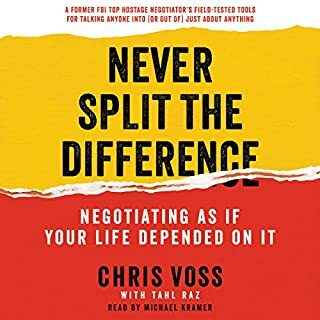 Having read "Getting to Yes", "Getting More", and many others, I found that Voss' book was more dense with practical advice and realistic scenarios. Not only does he give examples of what to do ... and what not to do, he also talks about scenarios where advised tactics do not work...and what to do next. Highly recommended. On April ninth, thousands of people wake from the same dream, visits from angels instructing them to build a biblical ark in their front yards or the town square or little league field - anywhere - to prepare for the worst natural disaster to strike the world since the days of Noah. A widowed California high school teacher risks everything to build a boat in the 60 days she is given. A homeless self-proclaimed prophet of God preaches across Boston's waterfront, unaware that he is not alone in his visions. I don't usually listen to this genre, but a friend suggested I give it a try. I don't want to give anything away, so all I'll say is that this is more of an "old school suspense/thriller". If you are a high-speed action junky, this is not the book for you. If, however, you like "old school" Hitchcock type thrillers with a religious angle, you will really enjoy Margaret's Ark. I surely did. Best Monster Hunter so far! I never thought a book focused on Franks would be so engaging. 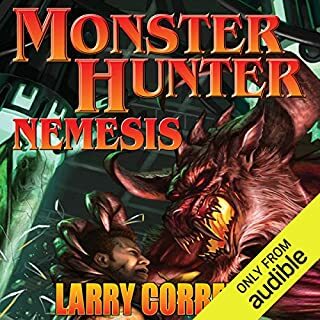 This is my favorite of the Monster Hunter books. If you could sum up Warbound in three words, what would they be? Pinchot does an awesome job with the voices. Jake Sullivan is the best. 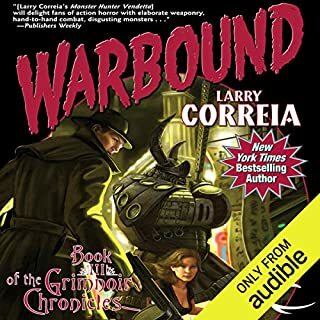 I was a casual fan of the Monster Hunter books and figured I'd try the Grimnoir books out for something different. Boy, was I impressed. The Grimnoir books just keep getting better and better. If you could sum up Movement: A Short Story About Autism in the Future in three words, what would they be? "Impressively written" - I don't usually listen to short stories, but was intrigued when I heard the author in an interview on a podcast (writing excuses). The prose was fantastic and the imagery really pulled you into the main character's head. I'm really glad I picked this up. What was one of the most memorable moments of Movement: A Short Story About Autism in the Future? My most memorable moment would be a spoiler, so I won't say that. I also really enjoyed how the author tied in all the temporal connections. The author did a great job helping me see the world form the main character's point of view. What three words best describe Marguerite Kenner’s voice? Overall I thought the narration was average (which for an independent short story is not a bad thing). I thought she did great with the prose, but something about the dialog bugged me. It might not be the narrator's fault. There were a couple of audio glitches that were slightly distracting, but not too bad. Way to drawn out. Very little tension. 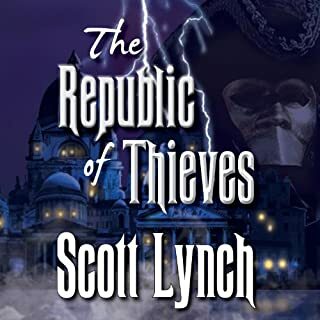 What disappointed you about The Republic of Thieves? I liked the first book and loved the second book, but the third book just felt like it went on and on and on without much tension or story advancement. It's almost as if he had a cool idea, but then felt compelled to fit it in the same length novels as his prior two stories. Would you ever listen to anything by Scott Lynch again? Maybe, but there were a couple points where I felt like stopping. I'm glad I didn't, but there are "unimportant" sections I just tuned out. There are too many other books in the world I could be spending my time on. If you could play editor, what scene or scenes would you have cut from The Republic of Thieves? I thought both story arcs were weak and felt forced. It felt like he struggled with writing this novel and was trying to force something to fit where it didn't. I think he probably should have just tossed the entire story aside and came up with something different. Lynch's writing is great, but the story just never took off. 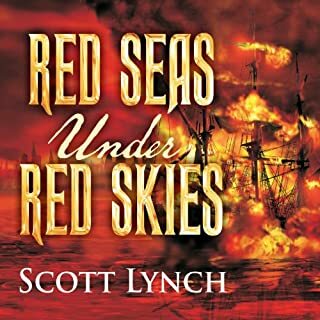 Would you consider the audio edition of Red Seas Under Red Skies to be better than the print version? Michael Page brings the characters to life. He has become one of my favorite narrators in just two books. I liked how the story was not formulaic or predictable. Locke is definitely the best. But Michael Page gives pretty unique voices to every character. 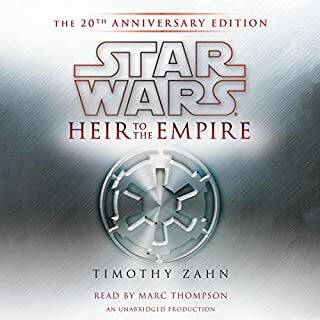 If you could sum up Star Wars: Heir to the Empire (20th Anniversary Edition) in three words, what would they be? They were all very well done, but I liked Lando best for some reason. I read the book when it first came out and was wondering if it would still hold its magic. It does. The production quality of this book is top notch. I wish this trilogy would be made into film! What did you love best about World War Z? Based on the title and background, I had a lot of preconceived notions of what the book would be like. It surpassed those. Some of the cast are great, but some just seem like they had little direction. Overall, I was very happy, but I expected something more dramatized than it really was. There were a number of points in the book where it showed the author thought a lot of this through in trying to make decisions believable by governments, people, and even the zombies. I really enjoyed those moments. 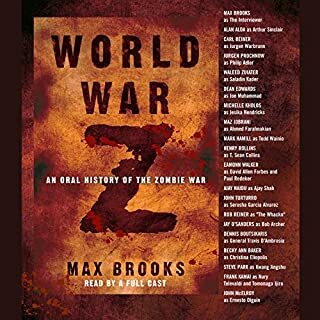 I've been listening to long epic fantasy lately, and World War Z was a good break from that format for me. Zombie books are not my typical choice, so I think the 6 hour format was perfect for me. 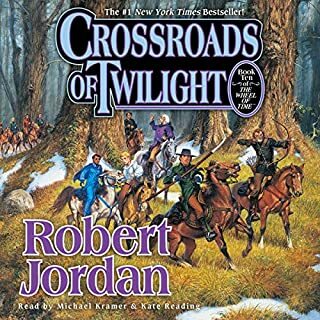 What disappointed you about Crossroads of Twilight? Each chapter felt like a "deleted scene" from the previous book. This is not the same Jordan as earlier. Perhaps he got too side tracked with other projects or was ill, but clearly this book is the worst of the series so far. Have you listened to any of Kate Reading and Michael Kramer ’s other performances before? How does this one compare? The performances are spectacular. Reading and Kramer consistently perform in this series. 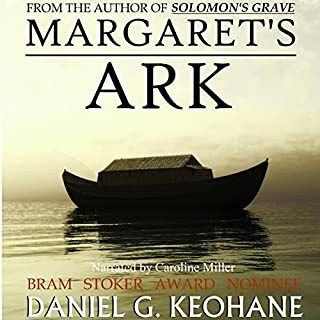 If you are a fan of "historical fiction", you might enjoy this book more than I. Story-wise it is very weak, but the details and plotting is very deep. Reminds me a lot of reading historical fiction novels.